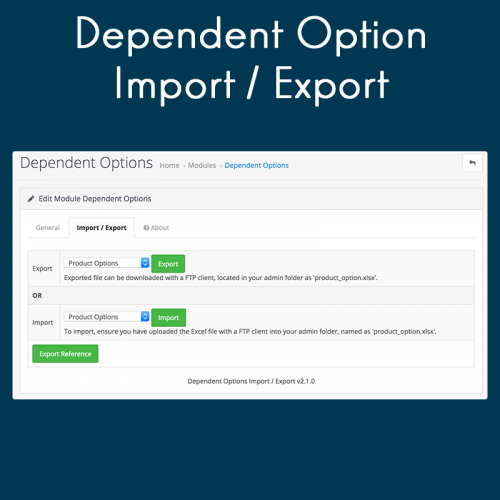 This is a plugin for Dependent Options by MarketInSG. This allows you to easily import / export your product options and product option values into / from your OpenCart store. 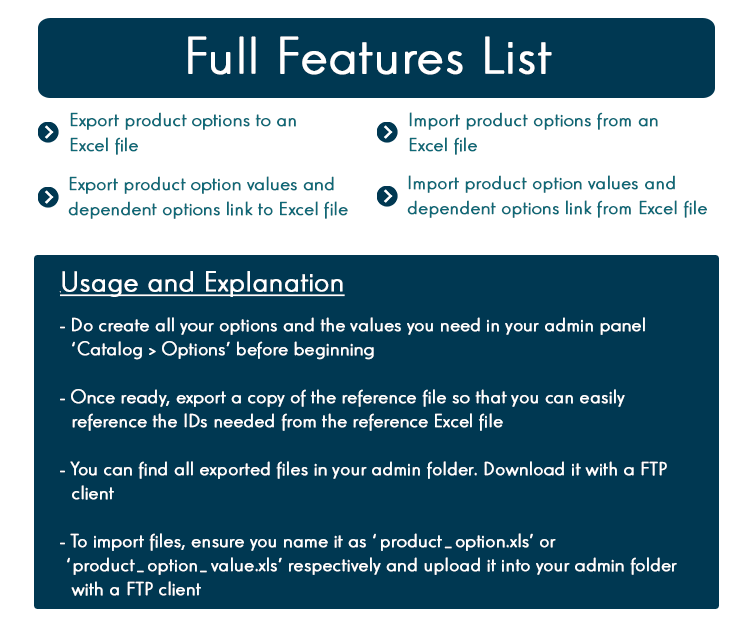 Easily manage all your product options, values, and their link with this Excel import / export plugin.